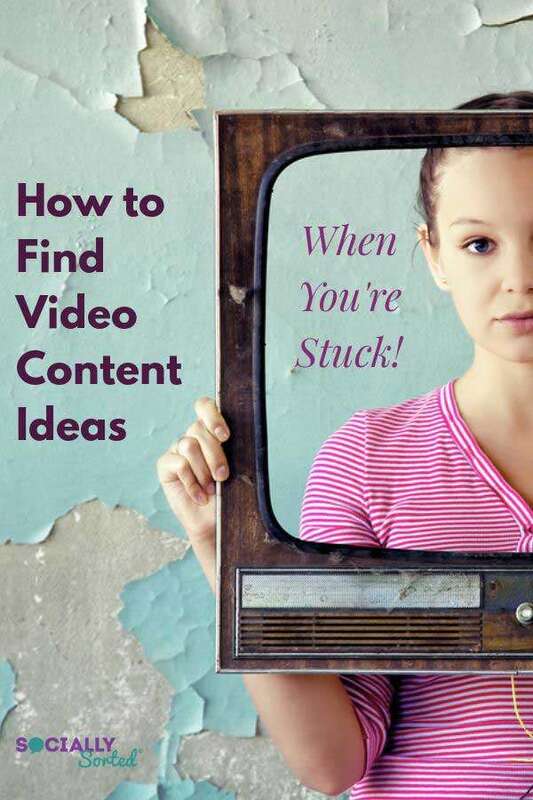 Do you find yourself stuck for video content ideas at times? In this post we break down how to find engaging video content ideas when you can’t think of anything to post. You’ll never run out of ideas for video again! We all know that video marketing is on the rise. In fact, 81% of businesses use video as a marketing tool in 2018. Regardless of the industry, video does wonders for sales, brand awareness, and engagement on social media. It’s great if you already make videos for your business or personal brand. It’s even better if you release them consistently. But what to do when you run out of video content ideas? How to find fresh ideas that are relevant to your audience? In this article, we’ll discuss five effective ways to come up with original ideas for your videos when you’re stuck. There is nothing new under the sun! Go through your old pieces of content when looking for video content ideas. Choose the best ones and turn them into videos. Pay special attention to those pieces of content that, in your opinion, didn’t get enough attention in the past. It’s a great way to give them a second chance by promoting with videos! If you don’t make videos for your blog posts, you’re definitely missing out. It can be a simple slideshow with the key ideas of your article, a video announcement of a new piece of content on your blog, or an explicit video tutorial based on your blog post – a video will give new life to your content. Check out this example of a blog post repurposed into a video. Podcasts are usually associated with audio, but did you know that you can turn your podcast audio into a video? Videos seem to be quite universal and more widely used than podcasts, so consider creating a video to promote your blog post. The easiest way to turn your podcast episode into a video is to make a slideshow on Facebook or Instagram by adding relevant visuals. Then add your podcast’s audio to it. Or you can use a tool like Headliner which allows you to create video from clips of audio quickly and easily. You can also turn a full episode of a podcast into video. Give people a reason to celebrate something – and they surely will. That’s probably why there are so many fun holidays and observances celebrated by enthusiasts from all over the world. Why not draw inspiration from it when coming up with video content ideas? Wave.video decided to make lives of video creators easier with the Free Social Calendar. The calendar is packed with creative and original content ideas for every day of the year: holidays and observances, popular hashtags, and daily suggestions. Moreover, most of the ideas are accompanied by professionally made video templates that make the process of making videos even easier. Wave.video users can customize and share these video templates with their audience without any limitations. Did you know that International Cat Day is celebrated on August 8? See, now you have a great reason to make a video with adorable cats for this date. And the same works for any other day of the year! Nobody knows what your followers want better than the followers themselves! To get fresh and relevant video content ideas, ask your followers what would they be interested in. 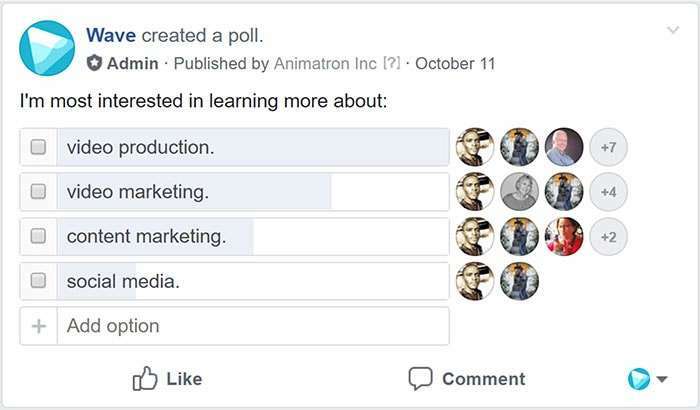 Do they prefer seeing educational or entertaining videos on your page? What kind of videos engages them the most? What are their pain points that you could solve with videos? Taking into account your audience’s preferences is a win-win situation. Viewers get a chance to be heard and watch content they enjoy, and you receive high engagement and get to make sure that your videos are truly relevant. There are several ways to reach out to your audience: send a newsletter, ask them directly on a conference or during an interview, or organize a poll on social media. Choose the one that fits your company the most – and don’t hesitate to express your genuine interest! Google Trends is a website that analyzes the popularity of top search queries in Google Search across various regions and languages. Even if you’re not planning to make a viral video, getting more people to see your videos never hurts. Use Google Trends to find out what’s trending in your industry at the moment and… make a video about it! There’s no need to explain how important it is for content makers to keep a finger on the pulse of the latest trends. 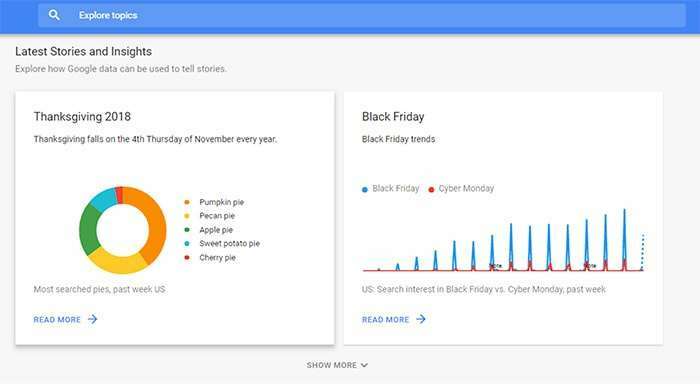 Using Google Trends, you can adjust the search to your target audience and see what topics they’re interested in right now. This will definitely give you some ideas for hot-button videos! This may seem like the most obvious way to find video content ideas, but if you’ve never tried checking lists of ideas – wait no more! 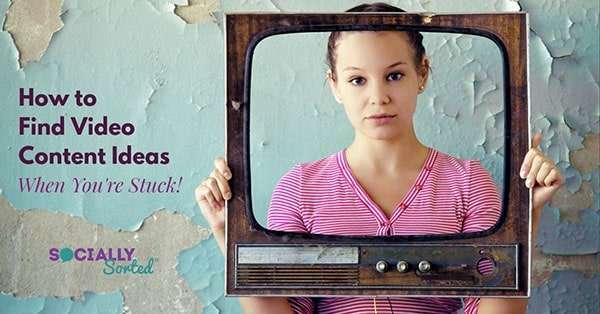 You’ll be surprised to find out how many brilliant and simple video content ideas have never come to your mind. Finding original video content ideas is never easy. Hopefully, this article will help you overcome this challenge! Now, what are you planning to try next? Digging into the Social Calendar or, maybe, repurposing your old blog posts? Let me know in the comments! Maria Rozhdestvenskaia is a content marketing specialist for Wave.video. She gets inspired by video marketing, IT, and La vie est belle.